← Birthday balloon and best wishes for my M.I.L. 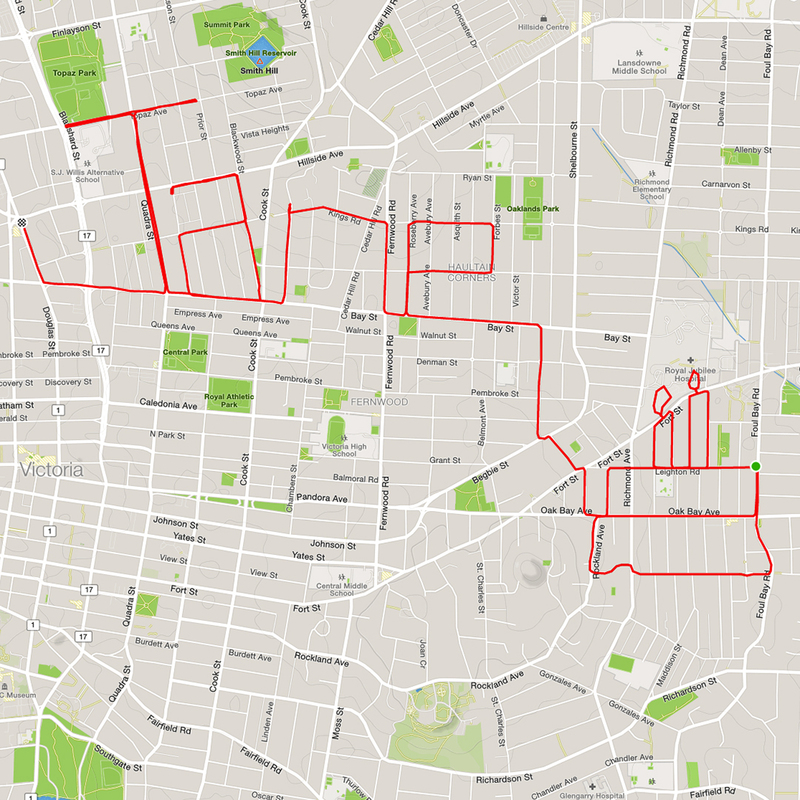 Just for you on your birthday, Jane: a tasty cake à la GPS doodles! Today is another family birthday. Which means, of course, that today called for another birthday GPS doodle. Happy birthday wishes to my sister-in-law Jane! Ingredients: 16.4 km (10.2 mi) of asphalt, 233 m (764 ft) of climbing and 42 minutes 48 seconds of pedalling. This entry was posted in bike-writing, gps art and tagged bicycle, bicycling, bike-writing, birthdays, cake, creativity, cyclist, garmin, gps, gps art, happy birthday, strava, strava art, victoria bc. Bookmark the permalink.